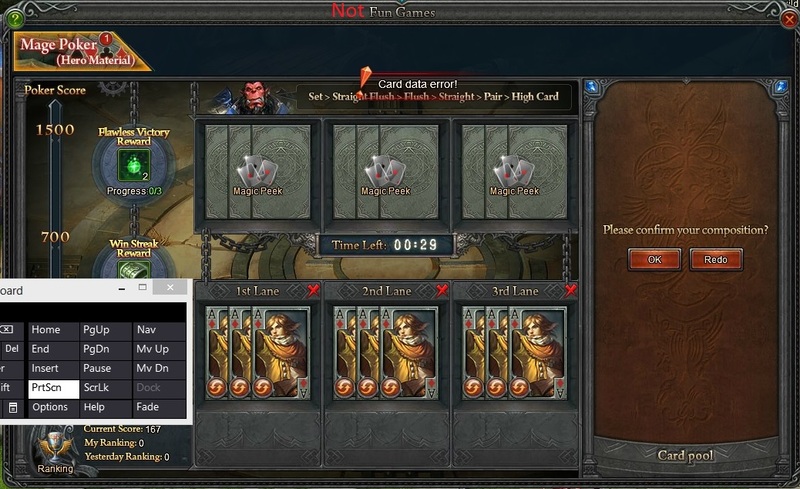 I tried the new fun and games feature and I kept getting a Card data error. This is getting annoying. I hit Start to use my second attempt but the game told me I couldn\'t because I was in the middle of a game. I wasn\'t because I had lost in every lane. So I closed Fun Games;and when I opened it again I got this same issue. I restarted Magerealm and I got normal cards back. 2019-4-23 18:48 GMT+8 , Processed in 0.052436 second(s), 42 queries .